“Do you know what the greatest talent in the world is? 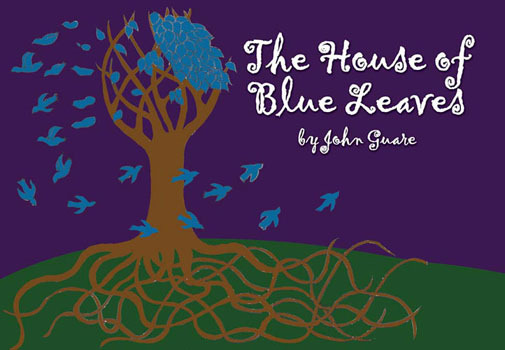 To be an audience,” says Billy Einhorn (Thomas Sadoski), the old-school Hollywood producer in John Guare’s The House of Blue Leaves, now in revival at the Walter Kerr Theater. “Anybody can create,” he goes on, “but to be an audience....” Actually, Guare makes it the audience’s job to make sense out of his tableau of gargoyles, from the mentally ill Bananas (Edie Falco), who professes “I don’t mind not feeling as long as I can be in a place I remember feeling,” to Artie Shaughnessy, who takes care of the animals in the Central Park Zoo when he’s not writing mediocre show tunes, to Bunny Flingus (Jennifer Jason-Leigh) the downstairs neighbor who sleeps with Artie but refuses to cook for him until they are married. Add to this a nun who proclaims, “Don’t bother about us. We’re nothing. We’ve just given our lives up praying for you,” an AWOL army soldier, and a deaf actress who gets blown up by a bomb intended for Pope Paul VI. Perhaps when the play first premiered in 1966, the mere presence of these deformed creatures, all paradigms of romantic aspiration gone awry, rang a bell with an audience who enjoyed the pleasure of anarchy. 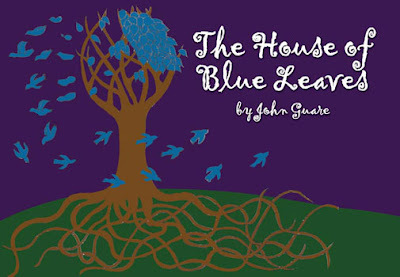 After all, The House of Blue Leaves premiered in the middle of the Viet Nam era, when the schizophrenic relationship between individual values and institutional morality, or immorality, was best expressed by Yeats’s oft quoted lines “the centre cannot hold; Mere anarchy is loosed upon the world.” But today the bar is higher. We have become so inured to cynicism, particularly in regard to the way individual destinies are shaped by history, that the absurdity of Guare’s characters seems both one-dimensional and predictable. You are more likely to be disturbed and entertained by the standup comedy on a typical episode of Saturday Night Live than you would by the so-called drama going on at the Walter Kerr. To put this more succinctly, Guare was in the gargoyle manufacturing business when he wrote Leaves. Now that gargoyle manufacturing has been outsourced to India, the once unusual images have become commonplace, overused, and in many cases outdated.